The notal tubercles are small, single and rounded, and they are evenly distributed. There are three, low, median longitudinal ridges. The rhinophores are gold to orange in colour. 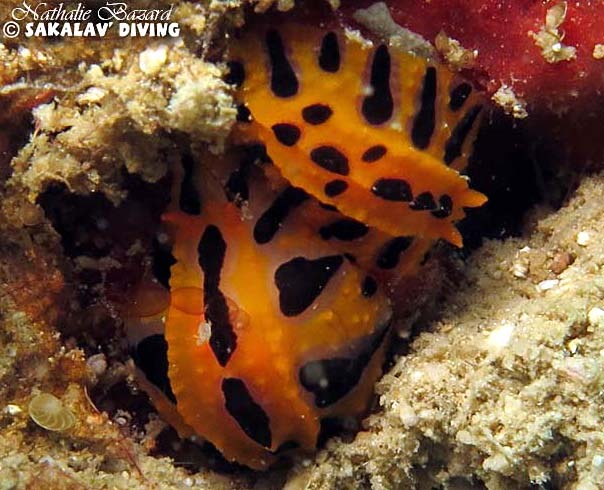 The rhinophores are gold to orange in colour and each clavus possesses 11-13 lamellae. 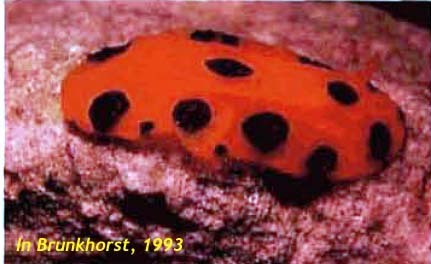 Ventrally, the hyponotum is golden with the black spots showing through where they occur. The gills, foot and triangular shaped oral tenlacles are also gold in colour. The black spots are usualy organized in three rows.